Samaritan Village is a Senior Care Community located in Hughson, California. They provide luxurious Independent Living, Residential living and Assisted living settings, with the flexibility to adjust the level of care residents receive as their needs change. They create an engaging, healthy and productive senior living experience for all who call Samaritan Village home. Samaritan approached Momentum Healthware with the need for a sophisticated nurse call system that could proactively keep residents safe, while also providing them with the privacy and freedom of independent living. In addition to being accurate, reliable, and stable, Samaritan Village needed a wireless nurse call system, with advanced features such, as: resident location tracking; staff tracking; and reporting on individual staff members and residents. Samaritan Village chose Momentum Healthware’s smart wireless nurse call system with real-time location tracking, RTLS In Motion. RTLS In Motion offers resident location tracking, staff duress, staff tracking, wireless life safety calling, wander management features, proactive resident alerting, equipment tracking, detailed reporting on individual residents and staff, and more. The system is comprised of an on-site server to run our software, wireless pendants worn by both staff and residents, and location tracking monitors that are placed throughout the facility. As residents and staff move throughout the facility, their pendants communicate with the location tracking monitors, where the server actively logs and monitors every individual’s location. At any time, staff can look at the facility map in the system and see the location of every resident, in real-time. When alerts are triggered, such as a resident pressing the button on their pendant, the system will alert staff on their mobile phone or at the nurse station, who called for help and display their location. Momentum Healthware provides a full turn-key solution, including hardware, software, services, installation and support. By using RTLS In Motion, Samaritan village is now able to calculate their true cost of care. Since the system tracks and reports on the frequency residents request assistance, and how long staff spend with each resident, they can assign a staffing cost to the care delivered to each resident. Samaritan Village can use this data for operational insight into staff workloads, care needs of residents, and overall staff productivity. They can also use these reports for reimbursement and care reviews, by showing concrete proof on how much time staff are spending with each resident, and if they would be better served in a high level of care within the Community. 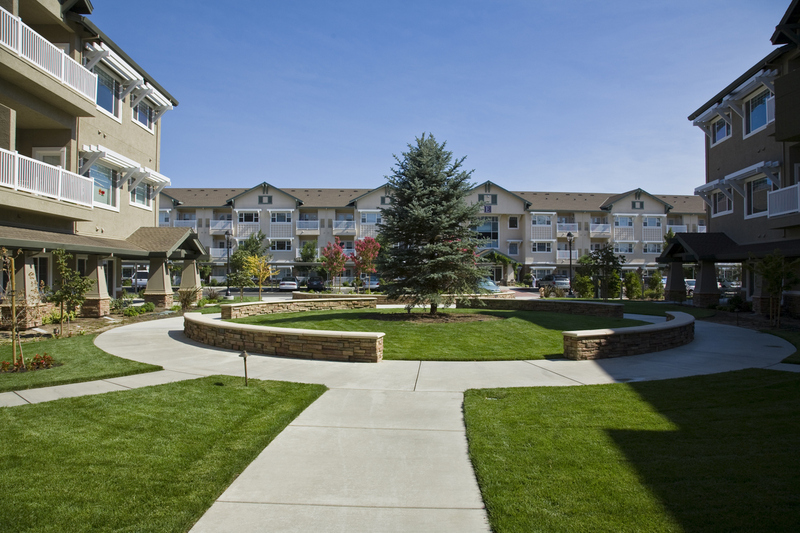 Samaritan Village strives to promote a home-like environment in their community. The Momentum system provides residents with more privacy, without compromising safety. This includes encouraging residents to freely move throughout the campus to use the many services and amenities provided. If they wish, they can also remain in their room without having staff checking in on them every couple of hours. The seamless access to help through the resident pendants allows staff to monitor residents from afar. The system will also send proactive alerts if there has not been any activity during a set amount of time. The adoption of RTLS In Motion has been nothing short of enthusiastic. The idea of having access to help from anywhere on campus at any time, adds an extra level of peace of mind for residents and their family. The residents are diligent about keeping their pendants within reach and remembering to carry it with them when they leave their suite. When the residents end up pressing the help button – whether on purpose or by accident – they are always impressed with how quickly staff respond to the call. Soon after implementation, Samaritan Village could already see the benefits RTLS In Motion had on staff’s workflow efficiency. By having the system simply tell staff who needs help and where, while staff are on the go, made a vast improvement by eliminating inefficient travel and improving direct response times. The reporting on staff location and movement has allowed management to analyze their operations and further improve staff efficiency. Watch Our Spotlight Solution Video On How Samaritan Village Uses RTLS In Motion!